Camping is one of America's great past times. There is nothing like loading up the car, truck or RV and heading out for a weekend of camping, a camping vacation or day trip involving camping. Camping on the Central Coast of California is spectacular. 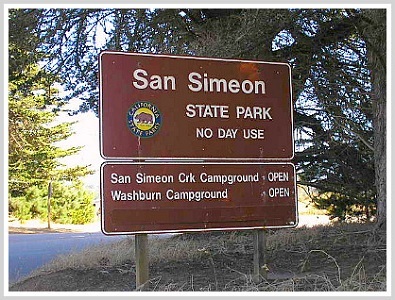 The coolness of the ocean breezes in the summer and the not to cold winters make camping in one of the many State Parks in our area an adventure to remember. We are starting a series of articles on camping tips which will help your vacation or whatever be a total success. If you have never camped before then maybe you should take a little time and explore the ideas and suggestions about life in a tent or an RV. RV camping can seem, at first, to be easy but it has its draw backs. 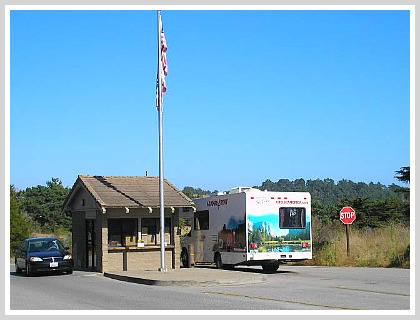 If you are thinking about renting an RV and driving up hwy 1 then you will certainly benefit from the tips we are going to provide. We are going to invite guest writers, experts on camping to help us out with this subject. We hope you benefit from this information. Camping food for many people has come to mean granola, oatmeal, and more granola. Camping food can range anywhere from veggies or hot dogs - great for roasting over an open fire - to a steak-and-baked-potato dinner and one-pot meals. Freeze-dried camping food is great for hiking, backpacking, or camping meals because you don't have to keep it cold to avoid spoiling. Camping food tips - Such as Mountain House Brand or Backpackers Country brands can be a very convenient way to eat. Camping food benefits include your meals can be already. Camping food downsides include cost as meals can be more expensive, and you can lose your creativity for cooking while camping. The camping food tip - You bring has to agree with your taste, at least for its time a place. It may not be the dish you'd want to find at home but after a long grueling hike a simple hot dish can taste better than any dish in a fancy restaurant.It doesn't matter how nutritious the camping food is if a man won't eat it. Remember though that your appetite may change after such strenuous exercise. Important camping food tips - Plan a camping food menu that you're willing to eat. Camping food tip - For many people has come to mean granola, oatmeal, and granola. I like them as much as the next guy, but I'm not willing to ruin my week in the woods by packing food I don't like. There are many companies now offering a huge selection of dishes, most of them very tasty, which just require water - everything from roast beef and potatoes to tuna casserole. Don't discount instant oatmeal and granola as tasty options. Another company you can go through for dehydrated camping food is Mountain House. They have been in the business for years now, and they really understand the needs of campers everywhere. They offer lightweight, compact, great tasting food for campers everywhere. This means that you will never have to stick to a certain diet again, and instead can find almost any food you want, in dehydrated form. Quantity is not the answer to extra food but nutrition, so, think in terms of how nutritious the food you are about to pack is and not its quantity. However, while thinking about nutrition don't ruin your camping pleasures by packing totally boring food with no taste that you don't particularly like but you just bring it because you think it is good for you to eat. Boxed foods: Rice and noodle dishes, mac and cheese, and other boxed goods work great in the field. Boxed foods are good because they are relatively light weight, tend to have fast cooking times and the materials can be easily disposed of afterwards. The other benefit to dried food of course is that it's also lighter because all of the water content has been removed. This makes food substantially lighter to carry as well as not requiring the cooler to keep it fresh, so it's really more than one benefit when you plan your food properly especially if you're hiking and backpacking. It's important with all your camping food ideas to remember that you should make sure to use foods such as chicken and fish within a couple of days of preparing and make sure to keep them very cold until then. The beauty part is that you don't have to be locked into the same old meals because you can prepare these in advance and pack them in individual packets. Remember to keep them dry and away from excess moisture. You can accomplish this by packing your meal packets into a storage zipper bag and double bag that. 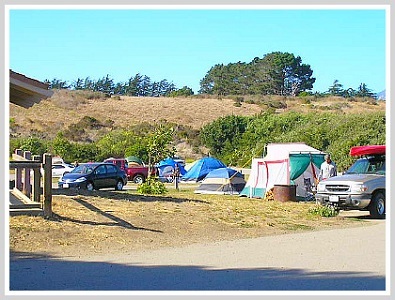 We hope you enjoyed and benefited from Baron's article for more Camping Tips Click Here.